Line of new generation, ecological bio-cleaners, that contain viable probiotic microorganism cultures. 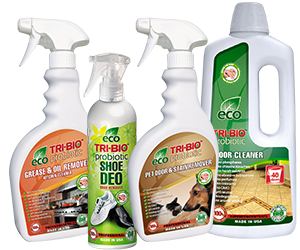 TRI-BIO ecological probiotic cleaners are the best, most effective and easy to use cleaners you have ever used. They are real biological cleaners, which contain viable probiotic microorganism cultures. Incredibly effective, safe to use and environmentally friendly. They clean and disinfect at the microscopic level naturally and safely. Unlike common disinfectants, probiotics kill only bad bacteria, creating healthy micro flora. They reduce the risk of infection and effectively eliminate unpleasant odors. Probiotics easily penetrate cracks, crevices and surface pores, providing deeper cleaning and longer odor control. They will keep on cleaning and protecting for up to three days! Do not contain: phosphates, harsh solvents, chlorine bleaches, abrasive substances, colorants, toxic substances. Recommended for people with asthma and allergies. All products have low VOC’s, easily biodegradable, minimum impact on aquatic life. No animal testing. All products packaged in recyclable packaging materials. 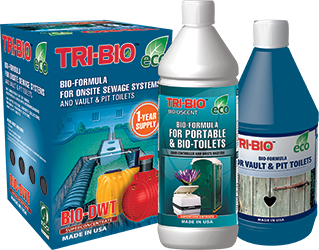 All products are safe for use in houses with septic and other types of onsite sewerage system. Deeper cleaning at the microscopic level by penetrating cracks, crevices and surface pores. Odor controller Masking bad odors By result surpasses most modern chemical deodorants and masking agents. Eliminates odors, not by masking them, but by removing the organics that caused them. The effect on micro flora Destroys all types of microorganisms, including life beneficial, creating unnatural sterile conditions Destroys bad bacteria through settlement of probiotic cultures. Health requirements on surfaces Highly recommended to rinse off 2-3 times, to remove leftover harmful chemicals. Do not require rinsing. Impact on people Chemical ingredients accumulate in the body, suppress the immune system, cause allergic reactions and even possibly cancer Safe to use. Hypoallergenic. Recommended for people suffering from allergies and asthma, if no perfumes and colorants used in formulations!